Introducing the first ever Expansion Set for Covenant Cards, arriving April 2019. 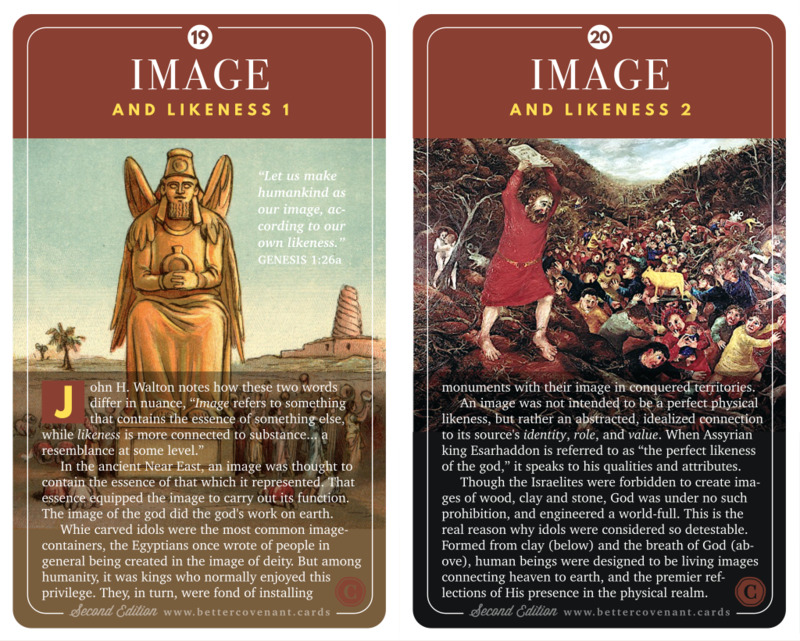 Inspired by the sort of cutting-edge, historically rich biblical teaching made famous by the likes of Jonathan Welton, Kenneth Bailey, John Walton, David Bentley Hart, Gordon Fee and Scott Hahn, this quality deck features 32 study cards stacked neatly in a custom rigid box. Printed on casino-quality smooth cardstock at 3.5"x5.75", it includes a full-colour instruction booklet and an invitation to our Better Covenant Cards Community, giving you a privileged 'first look' at news, freebies and future products. Last but not least, you'll get access to the downloadable digital version (PNG and PDF format) at no extra cost!